I totally understand that being sustainable is challenging and can sometimes be a little pricey, so why not start with just 1 day ditching all single-use plastics? The wonderful folks at Global Wake Cup have created this challenge and can be completed any day you want! 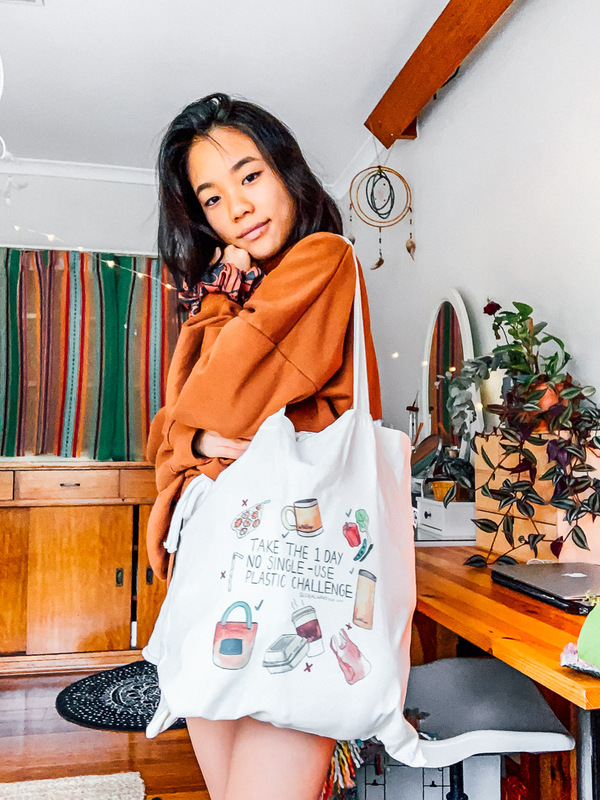 Ps- how cute it this tote bag?! 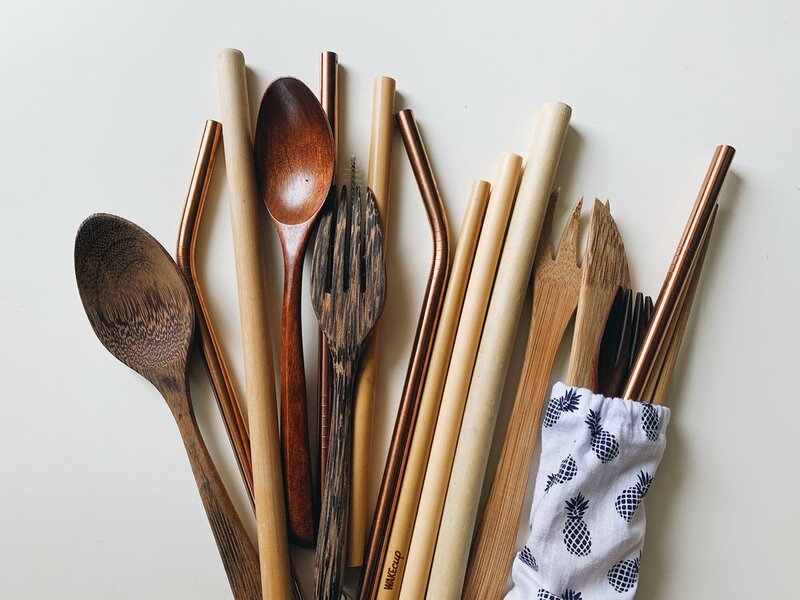 Below, I’ve listed my top swaps for single-use plastic for a more sustainable, eco friendly alternative as well as a few other helpful tips. I also want you to note that I am in no means perfect either! I still struggle (a lot) with buying plastic but still try my hardest to minimise my plastic consumption. I hope these tips + tricks help! Globally humans buy a million plastic bottles per minute and 91% of all plastic is not recycled. Skip the plastic water bottles and bring your own bottle. 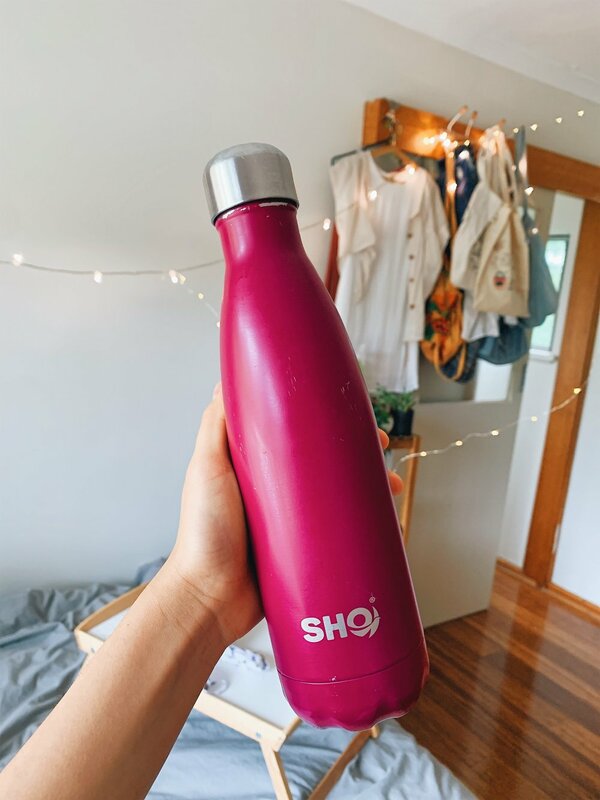 I love love my SHO bottle so flipping much. It keeps cold water super cold for 12 hours, and my hot tea hot (scorching hot) for 6 hours. Fill it up before you leave the house or fill it up at bubblers! Ditch the coffee cups + plastic lids, grab yourself a reusable cup! You could also find yourself saving some $$ while you’re at it, many cafes and coffee shops offer discounts for BYO cups! 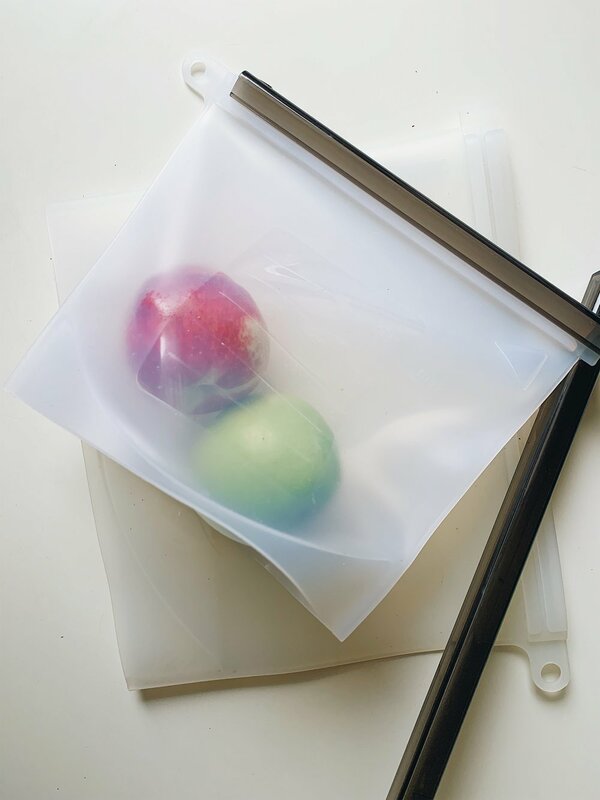 This is more for storing food but also an incredible cling wrap alternative! You can find a lot of beeswax wraps, however they also offer vegan wax wraps made from plant based waxes - candelilla and non GMO soy. If you’re taking some food on the go, but want to avoid the plastic baggie, try this wrap. They seal super tightly and keep your food fresh. I have mine from Wrappa . Even when you’re not planning on eating! I always stash a wooden fork, spoon and multiple straws with me whenever I go out because it tends to be the time’s you don’t plan on eating, you’ll eat. Plastic forks, spoons and knives may be convenient, however they’re classified as a non-durable plastic. A non-durable plastic is defined as products with a useful life of less than three years. Every year, around 6 million tons of non-durable plastics get thrown out. Grocery stalls are probably where I use the most plastic, but these bags are so perfect for produce! I highly suggest you invest in reusable produce bags which can replace the single use plastic bags you use when shopping for fruit + veggies. If each Australian family used 1 less plastic bag each week that would be 253 million bags less a year!! Might sound a little extra, but seriously so worth it! When I’m serving food at the Sydney Vegan Markets, we always get a wonderful handful of containers and even bowls for food to be served in, as opposed to our usual bowls. If you’re worried about what to do after you’ve eaten off it, bring plenty of napkins or wash it off in a nearby bathroom! I love my stasher bags from Seed & Sprout. Stasher bags are an incredible alternative to plastic bags and work like a charm in storing food and keeping them fresh! They are self sealing, air tight and made with food safe silicone. I love stashing any snacks or even fruits when I’m on the go! The containers piled nice and high by the front door so I don’t forget em! This tip is sustainable but also a sneaky health tip. A lot of the food we eat from outside will probably be served on a plastic plate, styrofoam container, with plastic utensils, etc. Take some extra time in the morning to pack your own lunch in a lunchbox. You will also be eating much healthier so that’s an extra bonus! My favourite lunchboxes are from Seed & Sprout and Monbento! 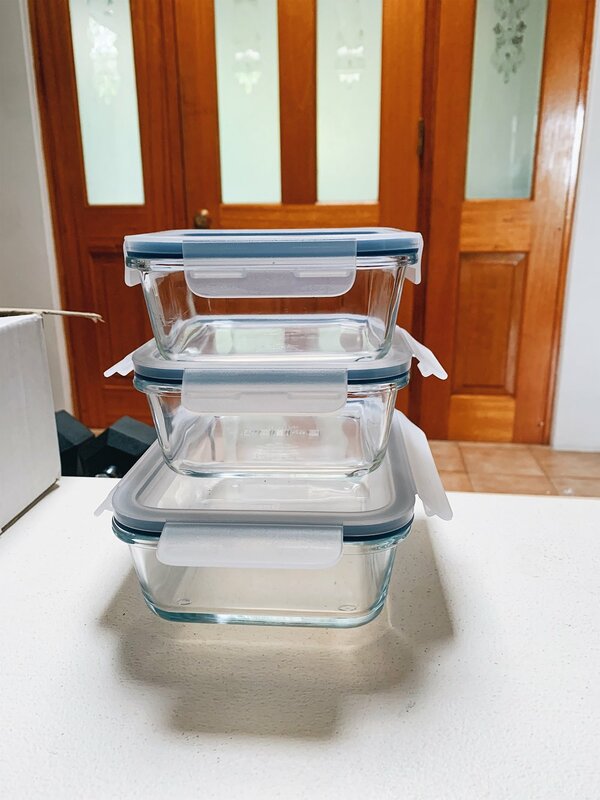 Helpful tip- I like to keep a stack of containers near the door, so I’m always reminded just before I leave the house to take one with me! It can take anything between 20-1000 years for a plastic bag to break up. They don’t break down and those that do, break down into polymers and toxic chemicals.